Yesterday at the Arnold Classic, a body-building seminar, the former governor of California updated the Arnold Fans website on future projects. Sounds pretty promising. However, I can’t say that I wish to see “Predator” remade. Sure Robert Rodriguez’s take, which starred Adrien Brody, was fun. I enjoyed it because it was an extension of the franchise. Still, it didn’t come close to rivaling the original. As for “The Running Man,” given today’s reality show climate, it could be a worthwhile project to consider. 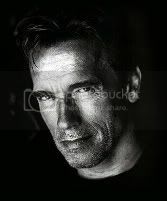 Also, look for an Arnold Schwarzenegger biography, penned by the actor himself, this winter.